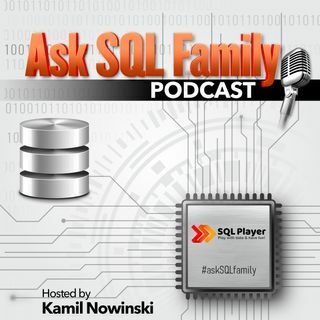 This podcast is about SQL Family, from SQL Family and for SQL Family. We're been talking about many varies things including Microsoft Data Platform and all related stuff to well known SQL members. Do not know what a #SQLFamily is? Do you know who is a member of SQLFamily? Do you want to know what they do, why they are so popular or what their dog/cat name is? Or maybe you want to become a new member? The podcast is for you!